We were saddened to learn of the death of Bert McIntyre on Wednesday, January 16, 2019 at his home in Almonte. Bert was a dedicated volunteer and supporter of the Almonte General Hospital and Fairview Manor Foundation. 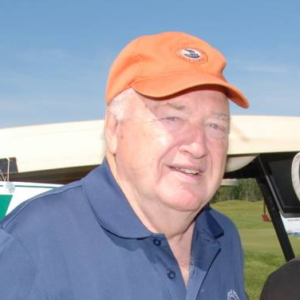 He was a founding member of the organizing committee that has put together the annual AGH Golf Classic year after year. He gave generously of his time, talent and treasure to support quality care for the Hospital’s patients and the Manor’s residents. On behalf of all of the board members, staff and volunteers, we send our condolences to his wife Norma and their children and grandchildren. Planning the AGH Golf classic without Bert just won’t be the same. Please visit C.R. Gamble Funeral Home & Chapel Inc for funeral information.